Sorry, Can You Pass Me That Camus by the Buffalo Wings? There’s a Sauce for That Kingsolver, Did You Try It? Oh, McDowell on Toast Points. It’s Not Rabbit, Is It? Let’s Prop Up the Oyster Bar, Want To? So Much on This Buffet, How Do They Swing the Price? When talk of ebook subscription services surfaced in months past, there was much hand-wringing in the publishing community that such services would devalue books and harm publishers and authors. Two of the hands doing the wringing were mine. They still are. Yet as the launches of Oyster and Scribd indicate, some (but not all) of those skeptics were silenced once they learned the publisher-friendly nature of the compensation models. Several small publishers and one Big 5 publisher – HarperCollins – signed on to work with both Scribd and Oyster. Smashwords announced an agreement with Oyster last month. We’re now in the process of shipping over 200,000 ebooks to them as I write. As a hand-wringer here, I’m one of the “but not all” skeptics Coker mentions, unpersuaded, and how good that he’s careful to note that we’re not all mollified. For me it’s not the compensation issue, actually. I’m more concerned about how literature of all genres (don’t get sidetracked here, I mean all books) fare on the buffet. But let’s go slowly here, and figure out on which end of this thing you’re supposed to get a plate and some silverware. What was the last book you read that was published through Smashwords? In earlier reports, we’ve learned that the platform has passed an impressive milestone this year, with more than 250,000 titles having gone through its operation. Congratulations are in order for that. And, of course, this tells us that Coker is making a very big commitment to Oyster, the 200,000 titles he’s “shipping over” representing some four-fifths of his platform’s output. What’s more, 20,000 of the books being “shipped over,” he writes, are “priced at FREE” (caps his). This is mildly confusing, I know. 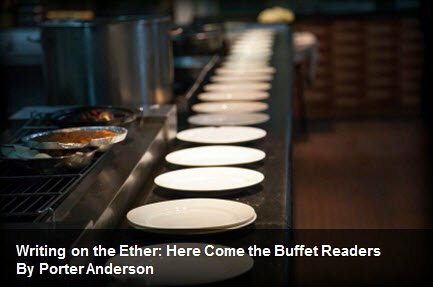 If you pay for unlimited access and start reading your way through books available at Oyster’s buffet, aren’t they all “free” to you? We’ll set that little confusion aside for now: I’m going to tell you what he means by it a bit later. And you’ll find it interesting. Just park that bit about the 20,000 “free” books for now. Let me be clear in saying that nothing Coker is doing or saying is wrong. Some of it may be a bit confusing at some points, which might be one motivation for his two-part post, actually. But he and the authors who have published with Smashwords—which classifies itself as “a distributor of indie ebooks”—are distributing, exactly, making their work available to subscribers of the fledgling Oyster program. And that’s fine. This could be a deal to sell the ebooks via Publix supermarkets or Walgreens pharmacies, and that would be fine, too. Currently, the Oyster homepage (really attractive, by the way) tells you that it offers “over 100,000 books at your fingertips.” It should be “more than,” rather than “over,” but nobody likes an editor anymore, so just shut my mouth. The deal is all you can read for $9.95 a month, and a first month free as a trial, too, which is cool. If the site boasts now of more than 100,000 titles, Smashwords’ agreement with them will be making that total more than double. You may not have heard of a lot of the books “shipping over” from Smashwords, but that doesn’t mean they’re not worth reading, of course, just that they’re not known. This, in fact, is part of the great slush pile we talk about self-published ebooks becoming. And folks who want access to books on an all-you-can-read basis, surely, can’t expect everything they pick up to be something that’s familiar from mainstream press coverage, bookstore visibility, book club evangelism, big-publishers’ ads, or other means. Perhaps part of the allure is the thought that you may find the next Didion as a complete unknown, waiting for you in book from Smashwords or another source on Oyster, right? @pablod I heard "Rockin' Around the Christmas Tree" in the pharmacy at lunchtime today. Make it stop. A subscription service of the all-you-can-read kind—just like Netflix for film and television, as we so frequently hear in comparative recitatives—must, perforce, include a lot of material that’s not necessarily widely popular. You know the phrase “straight to video,” of course. It’s used to refer to a film that’s produced without screenings in cinemas. Many productions are made without the slightest hope or intention of cinema exposure. “Straight to video”—which we probably should update to “straight to stream” soon—is why there are all those B-grade films you’ve never heard from. They’ve had no theatrical release. So here are Oyster and Scribd with their all-you-can-read subscriptions. We can expect some offerings to seem like straight-to-subscription books. Not as graciously homepaged (not a verb, I made that up), Scribd nevertheless is fully in step with its times. Its subscribe-now prompts show us inquisitive and attractive young adults, surely vegetarians, reading, reading, reading…and in the guy’s case, reading outdoors in an obviously rugged, sporting moment. Just like you and me. Scribd is the world’s largest digital library, where readers can discover books and written works of all kinds on the Web or any mobile device and publishers and authors can find a voracious audience for their work. Launched in March of 2007 and based in San Francisco California, more than 40 million books and documents have been contributed to Scribd by the community. Scribd content reaches an audience of 80 million people around the world every month. I’m in no position to challenge these statements. I don’t have the time to get around the Library of Congress and do the counting. Scribd has more than 40 million free books and documents contributed by users. For a low monthly fee of $8.99, readers can have unlimited access to all the popular content on Scribd, which includes best-selling books and premium documents. One minute it’s “free books and documents,” the next it’s “a low monthly fee of $8.99.” I’m sure this is simply a case of messaging needing massaging, Mr. McLuhan, some work needed on the copy. Perhaps the “best-selling books and premium documents” you pay $8.99 to read are in addition to those 40 million free things. And it would be too much to ask them to refer to “40 million free but unpopular books and documents,” of course. Something just isn’t entirely explained here. This is one of those odd confusions we’ll have to just set aside for now—an annoyance more than a substantive problem. Further complicating Scribd’s stance, however, is the fact that it also presents itself as a publishing and distribution platform for your work, if you like. Not unlike Smashwords. Suffice it to say that Scribd is several things to 80 million people. This is the Ether. We’re good at cognitive dissonance and rugged, sporting moments. No problem. Let’s get back to the question of how authors are to be compensated in these subscription models. In public, Scribd and Oyster have been conspicuously cagey about the nitty gritty details of how they compensate publishers. He then refers to an October 17 piece at Digital Book World from Jeremy Greenfield, Scribd CEO Trip Adler on the Economics of Ebook Subscription Models, the ‘Big Five,’ and the Competition and to a piece from even earlier, October 1, in which Laura Hazard Owen at GigaOM introduced Scribd’s offer, Scribd moves beyond document sharing with $8.99/month ebook subscription service. Neither of these references answers the question Coker has raised—how much do authors get paid on these services? The caginess he mentions stays in place. I’m hearing that marvelous old song “Who’s Cagey Now?” Connie Francis, right? What Owen has described from Coker’s email is heartening to some, if not to all. An author getting 60 percent of a book’s retail price when a subscriber reads more than 10 percent of that book? Honestly, we just have to see that work for a while. And we need some authors willing to tell us what that means they’re netting over time. 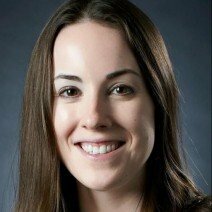 She goes on to add some cautionary guidance that Coker wisely offers his authors in that email about keeping “sales expectations realistic” in such a new setting as Oyster. There is an agreement for the service to promote Smashwords books that prove popular with subscribers, his email tells Owen. Her article of the 25th is well worth reading in its entirely as the closest thing we’ve had to a look inside this new distribution/sales direction. Still, there’s that big elephant ice sculpture in the middle of the buffet. We’re almost there. Part of the literary fiction listings page at Smashwords. Perhaps an even more apt parallel would be how health clubs sell memberships. They know that many subscribers rarely take full advantage of their services. A health club membership, like an ebook service subscription, is often an aspirational purchase for subscribers. As long as the reader wants to increase their reading in the future, they’re likely to maintain their subscription, even if they don’t actually read more. Interesting concept. World-class athlete that I am, I do know that everybody’s in the gym with me on Monday, fighting for air and the Smith machine. And then they’re gone the rest of the week. No stamina. For that matter, they’re all in the gym for January, then gone by February. Wusses. Coker’s right that this kind of usage occurs in contexts of unlimited usage. But there’s also something a bit sad about that, especially with books. If underuse by many subscribers is the way such services need to succeed, then we’re basically hoping that an awful lot of books will go unread; that an awful lot of subscribers won’t use their subscriptions; that an awfully big part of the all-you-can-read business will really be we-hope-you-won’t-read. Is this good for literature (of all genres)? Really? Think about it. Oyster travel card and Oyster ebook subscription service. Why on earth did either of these companies think we’d associate oysters with tech? Oyster subscribers can enjoy these [free] titles with gluttonous abandon at no cost to Oyster. So Smashwords, in fact, is subsidizing Oyster to some degree by supplying 20,000 books the subscription service does not have to pay him for. We can assume, I think, that the authors of those 20,000 won’t get paid for them, then? Unless Smashwords, itself, pays the authors for those books when read? Mark, you sweetheart. Just kidding. It looks like a tenth of the huge pile of ebooks Coker is sending to Oyster will be readable by subscribers without compensation to their authors. That’s the implication of this point. Next, and finally, we’ll look at what really worries me about these subscription initiatives and books. As we slide into home here, I’d like to reiterate that I appreciate Coker’s write because it’s the best basis for real discussion of this issue I’ve found. The “subscription question” is one that seems to cause people to speed up, rush on by, don’t look too closely at. So much whistling is going on that you’d think we were passing a graveyard. This is how we know we need to slow down and face this, and Coker’s write(s) are a big help for just that. He’s keying a lot of issues we need to consider. The big one, for me, is what happens to books when they suddenly are on that buffet? All-you-can-read. Go back as many times as you like. I have been in the UK for almost a week now and no one has handed me a complimentary corgi to cuddle. What's up with that? Coker, in Part 2, you’ll remember, talks of “How eBook Subscription Services May Redefine the Value of Books.” This is his excitement and my fear. Subscription services make books feel essentially free to their subscribers. This means consumer purchase behavior will be liberated from the cognitive calculus every consumer performs at conventional retailers when they weigh their desire for a prospective purchase against the list price of that book. As we found in the last two years in our annual Smashwords survey, and as conforms to general economic theory, lower cost goods generally get consumed more. The human species and psyche evolved to binge in times of plenty and conserve in times of scarcity. Friction-free subscription ebooks will alter the competitive fight for reader eyeballs. The reader won’t know the difference between a free book and a $12.99 book. Since the retail price is almost irrelevant to the reader, the authors and publishers listed in these subscription services can’t compete on price. Instead, it’ll be more about the book. Point taken. We can follow that argument. When money is no longer an object, as it were, you’re going to judge a book strictly by its cover or its prose or its story or characters or whatever else strikes you. Indie authors are building captive fanbases on Facebook, Twitter, blogs and on their private mailing lists. Authors have the power to direct their fans to stores. Will authors promote these subscription services with the same – or more – gusto than they promote their conventional ebook retailer outlets? Authors who distribute to the subscription services, at least initially, will face less competition for readers because they’re competing against a few hundred thousand books, rather than millions of books at the major retailers. Where I’m worried is back at the most basic premise: all you can read. My therapist's office now has a basket of Dum-Dums in the lobby. Analyze the implications of that. Do you value the tomatoes in their stainless steel container on the salad bar as much as you’d value the same tomatoes in a salad prepared by the chef for you in the kitchen? And how about those straight-to-stream films? The ones with the actors who look weirdly like box-office draws but, in fact, you’ve never heard of these pod people? Salad bars and B-movies may not be perfect correlates to books sold in vast all-you-can-read programs like Oyster and Scribd, but the important question here is as free to read as the handwriting on any other hot buffet wall. Coker writes of “this new world of ebook retailing” in which “readers demand high-quality, low cost, high-availabiity books.” His point is that independent authors are “best positioned to thrive” in that new world. And he may be right. He may be wrong. But when he proposes that “readers will feel closer and more connected to books,” I’m really not so sure, any more than Coker can actually be sure. We haven’t seen this yet. And this new level of commoditization of books doesn’t look to me like something likely to make readers value books more. If reader engagement with books increases, book access will become more valuable to readers. Notice that he’s saying book access will become more valuable. Not books, themselves. The manuscript I'm reading, like some of my tweets, has 140 characters too many. Logically, Coker needs mechanisms for distribution. Access. That’s what his business sells. Distribution, access. GigaOM’s Owen has written of Oyster having “real books you’ve heard of, from real publishers.” But not enough of them. Oyster needs books you haven’t heard of, too, to create enough depth to offer to a buffet reader. Got it. The more ways Coker can tell authors he’s distributing their work, the better his platform looks to them. Perfectly understandable. The more hundreds of thousands of titles Oyster can tell buffet readers it has, the better it looks to them. Perfectly understandable. What is not yet understandable—and what we must wait to find out—is what happens to literature of all genres, independent of Smashwords and Oyster, what happens to books in the buffet readers’ world? I don’t value film as I once did. Maybe I’m completely alone on that. You can tell me so in the comments, if you like. But on-demand viewing has made movies interchangeable with many other entertainments for many of us. B-grade selection-deepening productions have made the field at once broader and shallower, harder to catalog in the mind, easier to skim over or to pass over completely for an equally boggling array of television programming. Earlier this week, I found myself paraphrasing Noel Coward, and I can do it again now: Extraordinary how potent cheap entertainments are. Ellora’s Cave and some other romance and/or erotica publishers will tell you that subscription book programs have been around for a long time. And so they have. In some settings they’ve worked very well. Have they brought readers closer to literature? I’m not sure. Are you? These mainstream buffets are a new development that might be good for distribution, yes, indeed. And for literature of all genres? Will it be good? Get ready to find out. Here come the buffet readers. Sausage roll, anyone? Tell me what you think. I’m checking to see if we have more shrimp. I mean Camus. Posted in Writing on the Ether and tagged buffet, ebooks, Oyster, Scribd, self-publishing, Smashwords, subscription. Jamie, you’re waaay too kind (but I’m not complaining!). Thanks so much for the lovely note AND for getting the many references built into the palaver here. Totally appreciated! Just another way in which the feast, prepared lovingly and with care by the chefs de cuisine, is raffled off for redistribution to the hungry masses by the wide boys on the door. Like your style and thanks for the update. Great stuff, and thanks so much for being with us! The important thing is that coker needs mechanisms for distribution Access and that’s what his business sells. GigaOM’s Owen has written of Oyster having “real books you’ve heard of, from real publishers and some other e book writing companies have an eye on that.